Home » Multiscreen » Is your content reaching the right devices … and audience? As the TV viewing experience continues to shift towards multi-screen consumption, operators have the opportunity to create content specially designed for niche audiences. The OTT realm also includes challenges to be overcome, including video piracy. Shawn Liew reports. TV Everywhere is now a reality, and operators need to look beyond their own services to comply with evolving consumer demand, says Dr Fleming Lampi, global product director at ACCESS Europe. 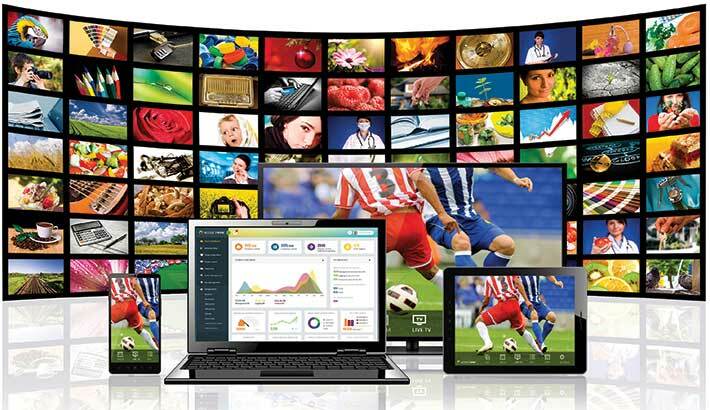 With the number of connected devices continuing to grow, broadcasters and service providers are now compelled to provide content over multiple devices and platforms. Speaking with APB, Dr Lampi cites the successful example of Reliance Jio Infocomm (Jio), an Indian LTE mobile network and fibre-to-the-home (FTTH) operator that has seen its subscriber base growing to 100 million on the back of a new service launched earlier this year, and which combines access to multiple content sources and platforms. Dr Lampi continues: “First and foremost, consumers want a seamless experience where various types of content and supporting apps live harmoniously within the same ecosystem. To respond to this new demand, Jio decided to offer consumers not only access to both its own branded catalogue, but also the user’s personal library stored in the cloud, and immediate access to social media platforms such as Dropbox and Google Drive. What has been hindering traditional TV Everywhere developments, Dr Lampi suggests, is cost and its time-consuming nature due to the lack of interoperability between devices. Citing a Business Insider UK prediction that there will be 24 billion connected devices in the world by 2020, he adds that taking time to develop the “perfect app” for each platform is no longer an option. Online viewers today demand high-quality video streaming that operates seamlessly across devices, and which contributes to an out-of-the-box, high-quality experience, suggests Chris Wagner, EVP marketplace strategy, NeuLion, a digital video technology company. And this may hold particularly true for live sports streaming, which is a growing and highly lucrative business. NeuLion, for instance, is powering the Sky Sports Box Office over-the-top (OTT) service and recently streamed live the highly anticipated fight between Floyd Mayweather and Conor McGregor for several global rights holders, including UFC, Sky Sports, Sky New Zealand and Eleven Sports Network. Wagner describes: “Being in a digitally connected world, viewers have access to multiple devices all day long, enabling them to no longer be confined to one area to watch content. And to allow operators not only to reach the right audiences, but also to better monetise their content, NeuLion recently launched its OTT Dashboard 3, part of the NeuLion Digital Platform, and the NeuLion ACE Analytics solution. He also points out that broadcasters need sharp insights and fast intelligence to stay competitive and grow their business in today’s data-driven world. NeuLion ACE Analytics is thus designed to provide the tools needed to leverage business intelligence and make decisions to drive growth, quality of service and quality of experience for OTT and TV Everywhere services. NeuLion also believes that 4K/Ultra HD (UHD) with high dynamic range (HDR) is ready for OTT delivery, and will help expand revenue for broadcasters and broadband providers. NeuLion, according to Wagner, delivers true 4K/UHD quality, at 60fps, to Internet-connected 4K/UHD HDR TVs, and which is enabled by the NeuLion CE software development kit (SDK), the company’s 4K/UHD streaming consumer electronics SDK. Essentially, it is all about the fan experience, he emphasises, and to provide fans with the option to watch content in both HD and 4K/UHD HDR. Constantly push the envelope with new technologies, new features and new services, Wagner advises. Another key consideration for pay-OTT operators is security, ACCESS’ Dr Lampi highlights. Going back to the example of India, he notes how illegal redistribution of content in the country is costing the film industry more than US$3.34 billion and 60,000 jobs yearly. A success story: Reliance Jio Infocomm, an Indian LTE mobile network and fibre-to-the-home operator, now has 100 million subscribers, as it continues to build on a new service launched earlier this year, which combines access to multiple content sources and platforms. Many broadcasters and content owners view Asia as the “most exciting prospect” for largely untapped OTT and video-on-demand (VoD) service revenue. Media analysis firm predicts OTT and video revenues for 17 leading countries in Asia to reach $18 billion by 2021, up from more than $5.5 billion in 2015, reports Chrys Poulain, sales director, NexGuard, a Kudelski Group company. Poulain believes that when priced appropriately, OTT and VoD services are a more attractive and convenient alternative than pirated options. This is especially true for premium content such as live sports, where immediacy is a big part of the value chain. He continued: “Yet, content owners, including the major studios, are increasingly stipulating that these services must adhere to a higher level of conditional access (CA) and DRM to protect content, often as a mandatory condition before proceeding with licensing agreeements. Forensic watermarking, Poulain explains, places a unique identifier within each copy of content. This “digital tattoo” can not only trace the original source of a pirated piece of content, but also be complemented with real-time anti-piracy services that can detect illegal online streaming services. This can then be brought forth to the Internet service provider to issue cease-and-desist notices to take down these illicit sites quickly. He is also heartened that besides content owners and service providers, governments across Asia — most notably China — have launched a number of initiatives to better protect intellectual property for video content, and are educating consumers on the long-term harm inflicted by piracy on the wider industry and by extension, the content they will be able watch. “This is of particular concern in markets like India. The world’s largest production market is increasingly embracing OTT delivery in shorter windows just after the theatrical release, largely in an effort to thwart pirates,” Poulain says. And while he acknowledges that video piracy may never truly be eradicated, it can be lessened through providing compelling and high value content services that offer a better consumer experience.